The school is listed in the Yellow Pages under “Gun Safety and Marksmanship”. 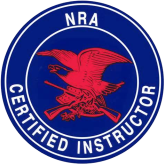 The school and all instructors are approved by the National Rifle Association and the State of New York, Division of Criminal Justice Service, Bureau of Municipal Police, to teach all aspects of firearm safety, marksmanship and penal law. With your interest and cooperation, attendance in one of The James Dinan School Marksmanship Courses, will develop a student into one of the 80% of graduates who are capable of out-performing 95% of all law enforcement officers & their trainers participating in the same course of fire as that provided by The James Dinan School. As part of the training, each student receives over 15 books and handouts covering the topics of Safety, Marksmanship, and Penal Law. The classroom course meets all the requirements of the NRA Basic Pistol and Home Firearm Safety courses except for the range shooting requirements (NRA Basic Training), which can be achieved after classroom instruction by students attending one of the four Annual Training & Competition Shooting Events . This course is guaranteed to be more complete, concise, and informative than any other course you may have attended, or may attend in the future, on the subjects of Safety and Marksmanship. 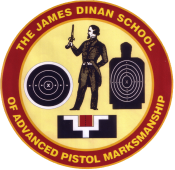 All graduates of the first two sessions of any one of The James Dinan classroom training programs, are invited to attend any of the four Annual Training & Competition Shooting Events. As mentioned above, attendance in at least one of these events is required to obtain certain NRA certifications, however students tend to continually attend these annual events to help improve their overall skills and enjoyment of shooting sports. These events are action-packed, full-day events, which include both instruction and competition. The instruction is provided to meet requirements for special certifications some students are working toward, and to bring out the optimum safety and marksmanship performance of all those in attendance. Please remember that these events are intended to be educational experiences; and as such, you will be given the best coaching available. Each event is limited to a maximum of 20 shooters. The Combat Shoots I, II, & III, will have the Combat 300 in the morning, and the Precision Combat 600 segment in the afternoon. The Bullseye/Combat Shoots will include the Bullseye segment in the morning and the Combat 300 & Precision Combat 600 segments in the afternoon. Depending the available time, each of the segments will be shot from two to three times during the designated part of the day. Bagged Lunch (since the break will be just 30 mins. and there are not many options for lunch near the range).